Founded in 1969, building software since 1985. On a recent post about Global Languages and Social Media, Chris Brogan wonders whether his israeli friend Yuval should be blogging in English to have a better reach or in Hebrew to have a more involved local community. Most of his colleagues and friends speak both Hebrew and English (at least! ), but here’s the rub: if Yuval blogs in Hebrew, his friends and colleagues will be more engaged. If he blogs in English, he gets a potential larger audience. Like some other commenters I would advocate for a multi-lingual approach (blog in both languages). Yuval could get an associate writer if blogging in two languages is too much work. If he cannot write in both languages, he should first blog in Hebrew (optionally writing some posts in English) and if he gains momentum eventually switch to full multi-lingualism. if he wants to reach readers outside of Israel, he really needs to blog in English, which I would consider the language of the web. He is French speaking, he wants to address an Asian community and he chose English. Fine, never mind the patronizing but how is the community going to react? Despite statistics telling us that about 2 billion people are English Users in the world and that they represent about 30% of the Internet users, I don’t think that English is the language of the web. I agree that English is a lingua franca on the Internet, like everywhere else in the world. Some people are using English to communicate with people who do not talk their own language. But doesn’t everybody speak English, more or less? Isn’t it the lingua franca of today that everybody speaks? It isn’t. At least not in the French-speaking part of Switzerland, and I’m certain there are many other places in Europe where the situation is similar. The people who are reasonably comfortable with English around here will most often be those who have taken up higher academic studies, particularly in scientific subjects (”soft” and “hard” science alike). And I am sure this is the same everywhere around the globe, even worse. I know tech savvy people who took higher academic studies, French and Chinese alike, and lots of them are not comfortable enough to communicate in English. Stephanie even created pompage.net to help French speaking web designers to get access to technical content available in English only. Most of the people are creating content for their family, their friends or their local community. When someone is talking about French politics, odds are good he will be writing in French, for French people. And most of those people do not care about people outside their reach. So they do not even need their content to be localized. Somehow, this the long tail. But if you want to address a larger community would you go English only? The problem is that today you do not really have a choice, there is no affordable tool or service that would help you localize your content in multiple languages. You can hire professional translators or have friends do that for you. Or if you are reasonably comfortable with English you can choose to create your content in English. Some people do the latter, but in the process they miss a large part of their potential community. And we, as potential community members, are missing an awful lot of interesting content because their producers are not reasonably comfortable with English. This entry was posted in Lessons in Life, Random Thoughts and tagged internet, language, Localization, social media on 2008-04-15 by Claude Vedovini. Apartment in Kathu, Thailand. Comfortable condo in a modern building, fully equipped. Access to a nice gym. 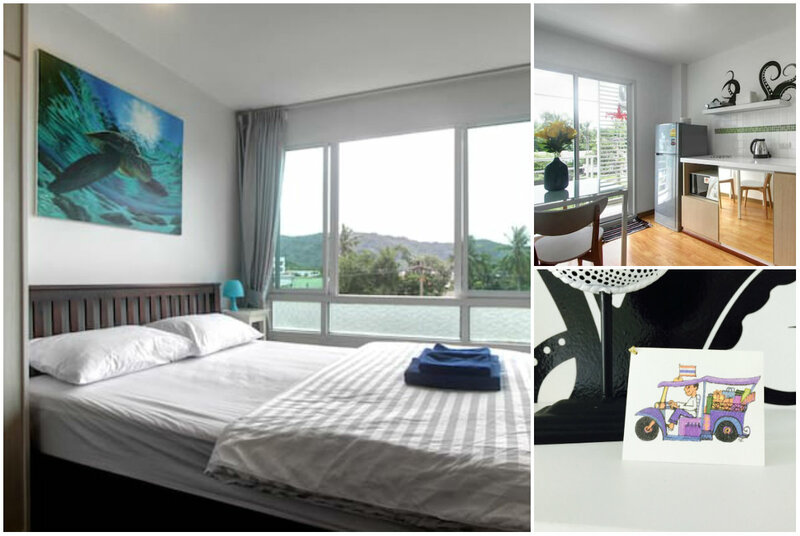 Central, 15-20mn ride from Patong Beach and Phuket Town, ideal for people who want to explore the island. More details and booking on AirBnB.